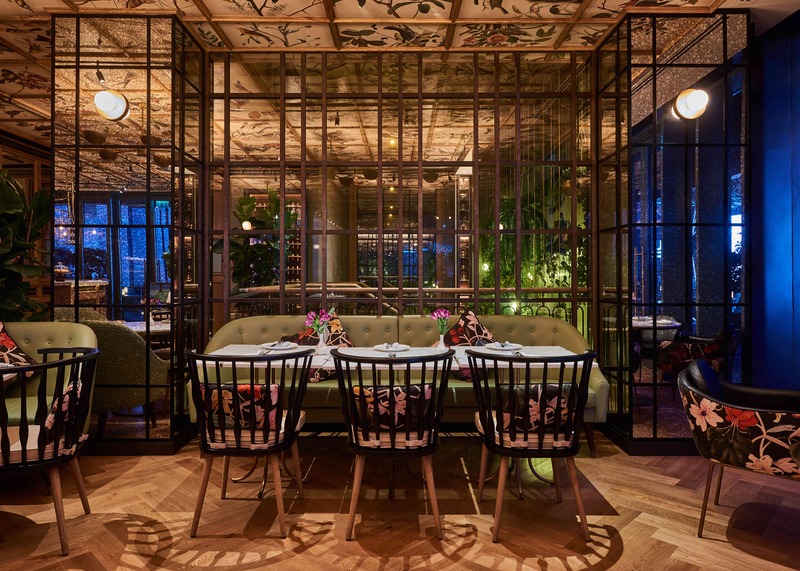 This week’s instalment of the #SBIDinspire interior design series features the latest venture from Michelin-starred chefs Chris and Jeff Galvin. 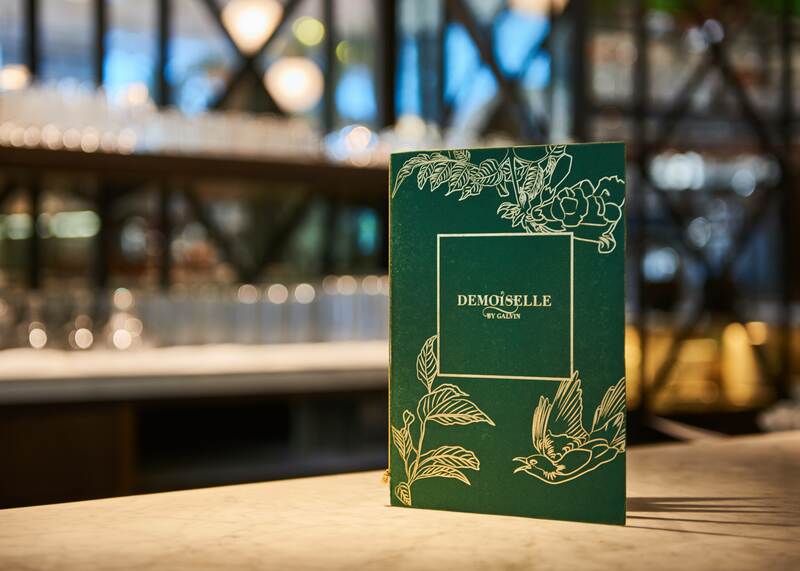 DesignLSM were tasked with introducing the opulent eatery, Demoiselle by Galvin, to Dubai’s newest urban living destination – CITY WALK 2. 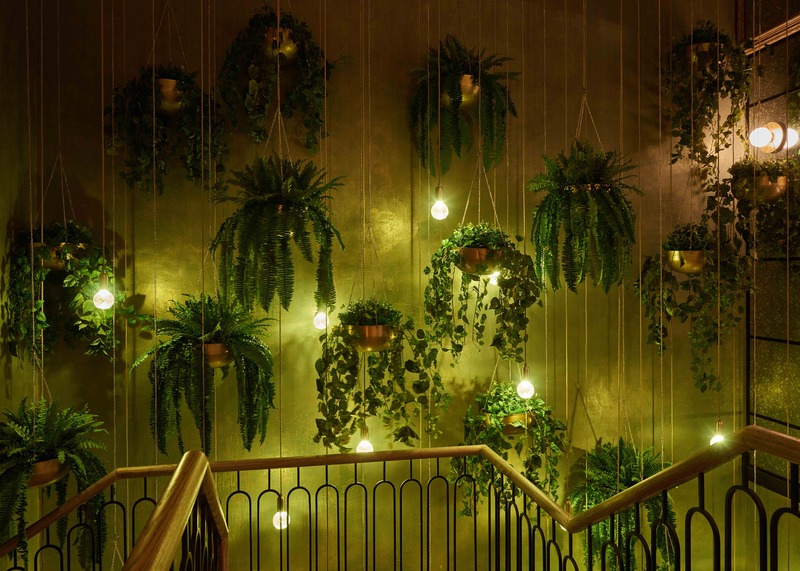 The interior design concept expands upon their flagship restaurant located within Harrods department store, London. 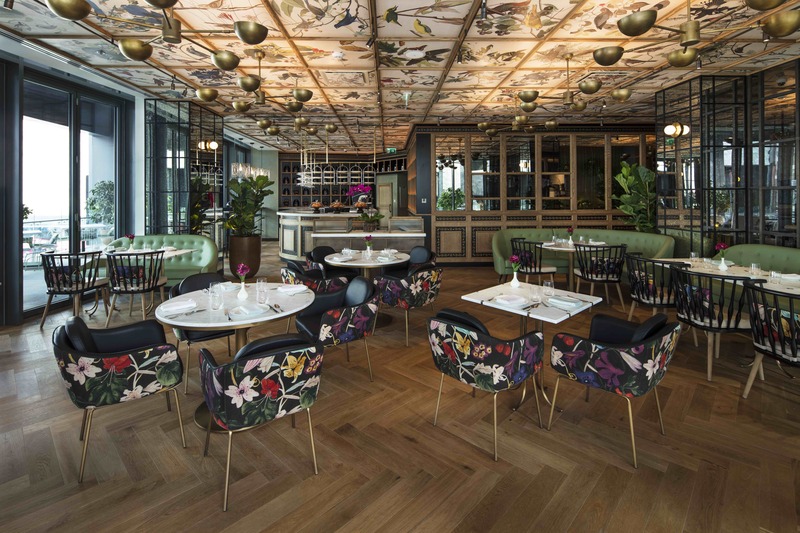 The 6,039 sqft restaurant is set across two floors featuring an artisan patisserie counter, juice bar, modern tea parlour and two intimate terrace spaces, which offer patrons resplendent views. 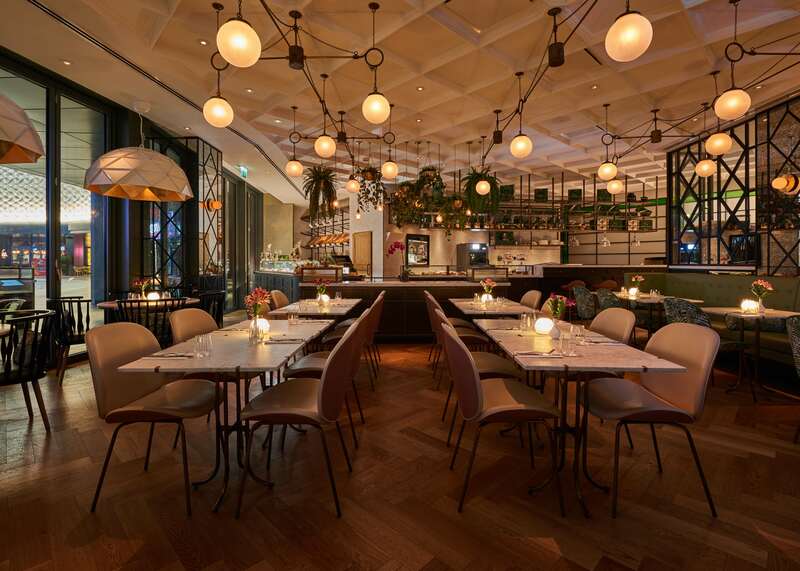 The overall scheme combines a modern and stylish aesthetic with a delightfully warm ambiance, radiating elegance at every turn, and giving Dubai a taste of the artistic and enchanting French charm we all adore. 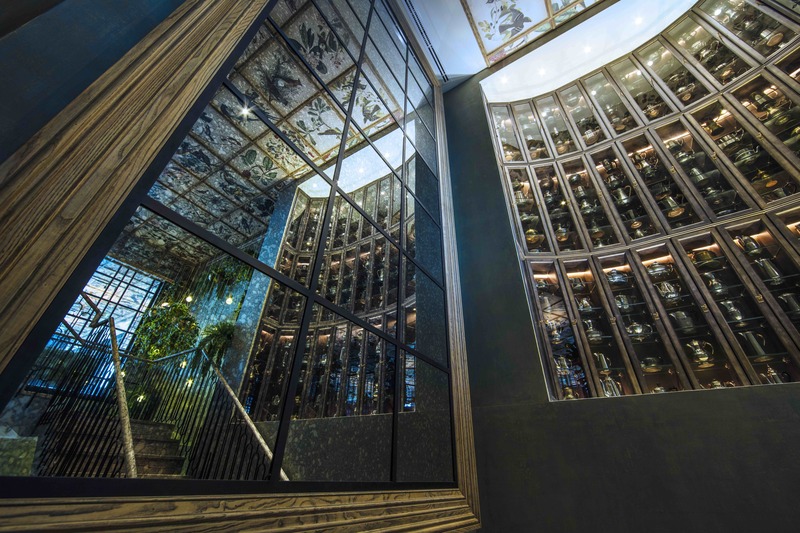 Having worked with the Galvin brothers on a number of projects over the years, we were delighted when they approached us to design the interior for their first venue within the Middle East. 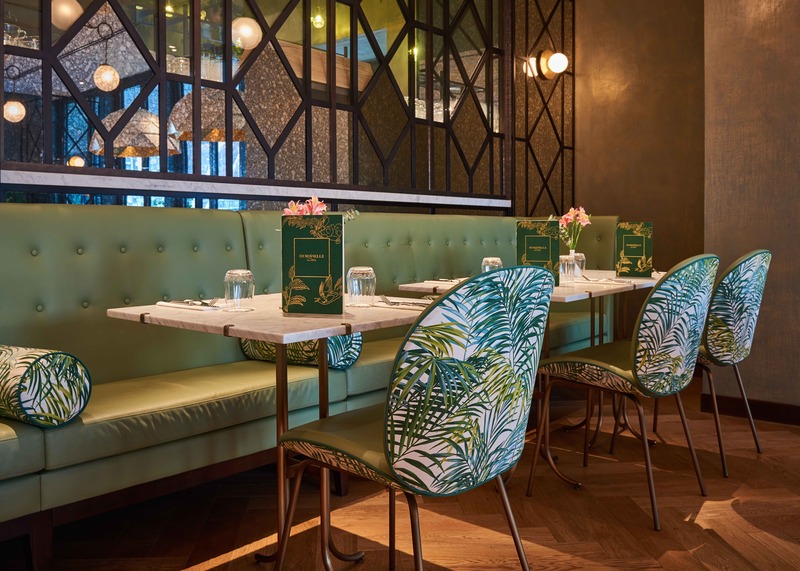 Our brief was to encapsulate the essence of the original Demoiselle in the Harrods department store in London, creating an elegant, modern and stylish all-day dining destination. 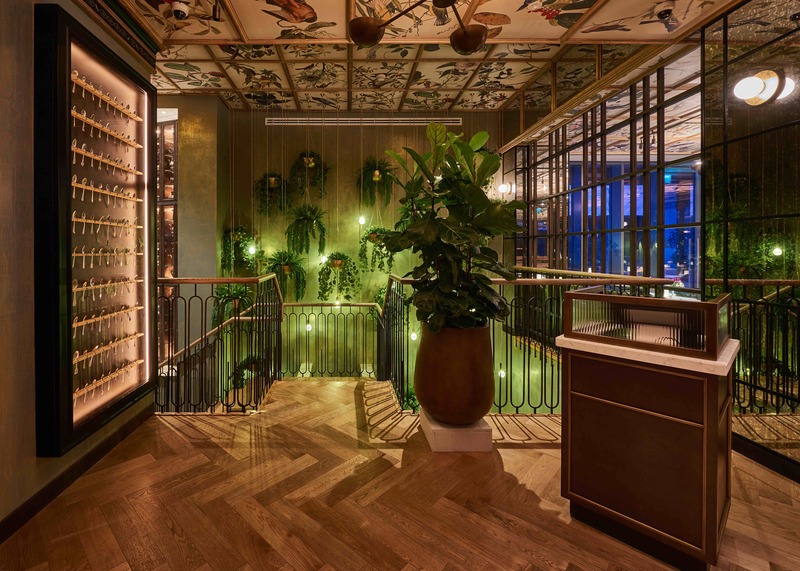 The interior design scheme was originally inspired by an ornate collection of paintings illustrating beautiful birds of paradise, and Parisian women in a pastel-hued palette, which Chris Galvin stumbled across on a trip to Champagne. 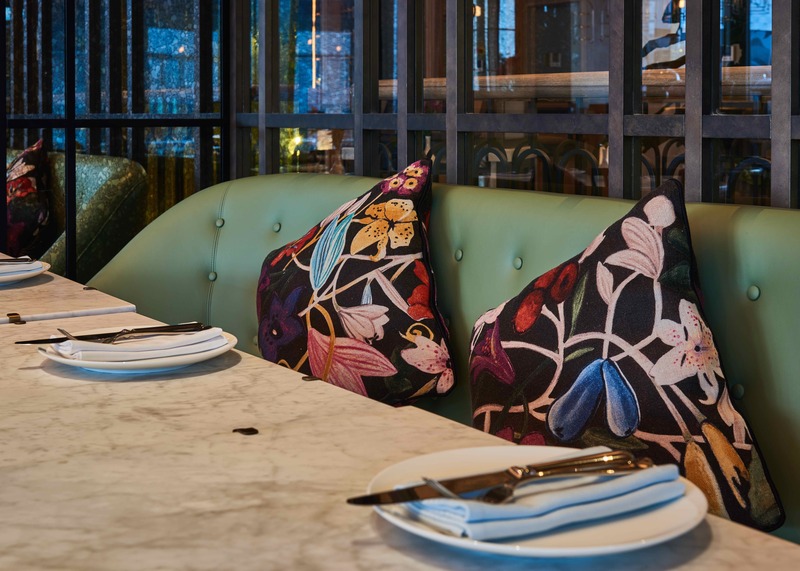 We decided to curate the opulent artwork into the interior and branding of the scheme; creating a stylish and feminine design aesthetic with signature touches that allude to Galvin’s authentic French character. 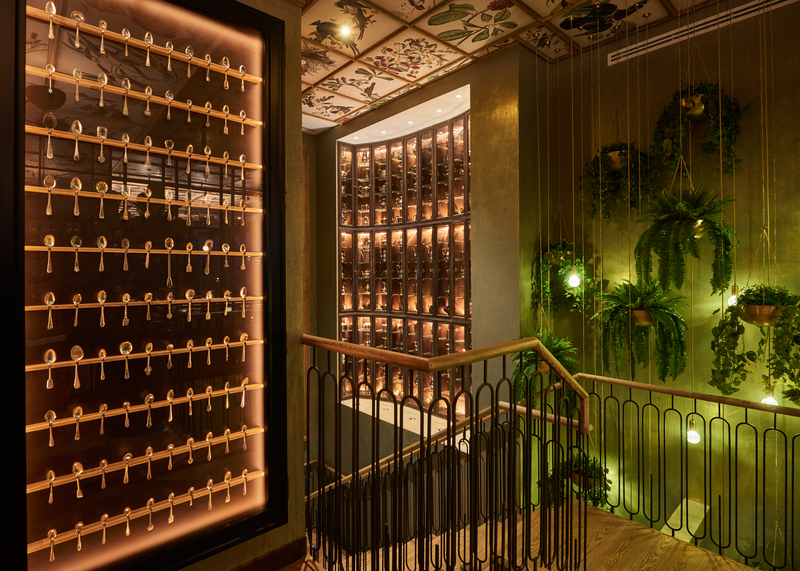 The budget constraints on the project were very challenging and as a consequence there was a constant effort and policing on our side to maintain the design essence and DNA of the Galvin Brand. Seeing several years of discussions and development coming to full fruition. Demoiselle is unique to Dubai…there really is nothing quite like it! The SBID awards are a great platform for designers to showcase their work to the industry and other fellow creatives. Demoiselle by Galvin was a big moment for us as a design practice, we feel we have achieved something very unique here and really wanted to showcase our hard work and success on this beautiful scheme. 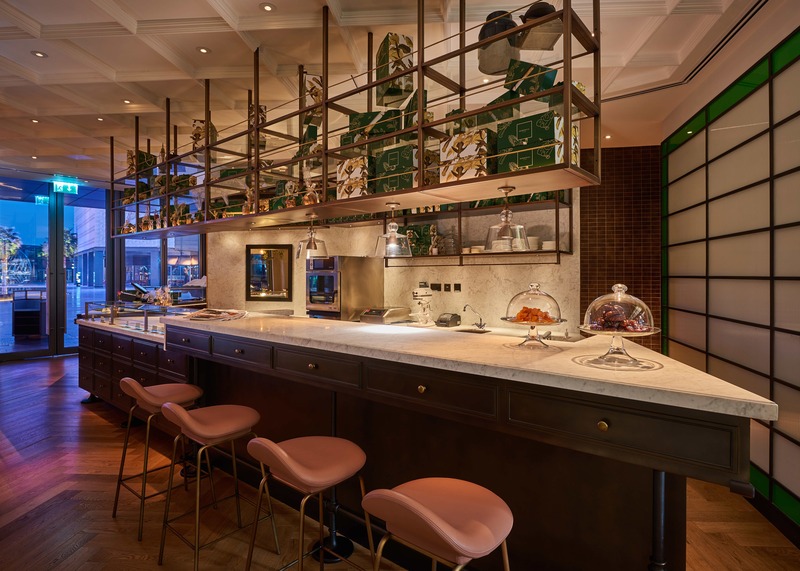 If you missed last week’s Project of the Week with the illustrious Mayfair apartment by 1.61 London, click here to see more.